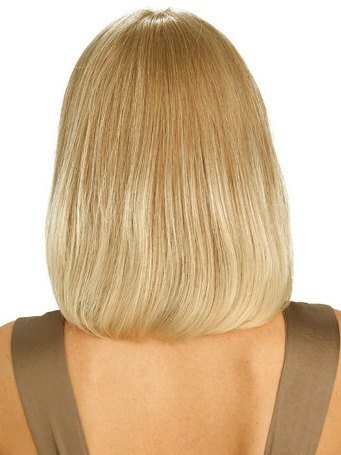 100% hand tied human hair monofilament wig. Shoulder length page with curving ends. Made from the highest quality 100% Human Hair Chinese and Indian Blend, processed to feel like European hair. 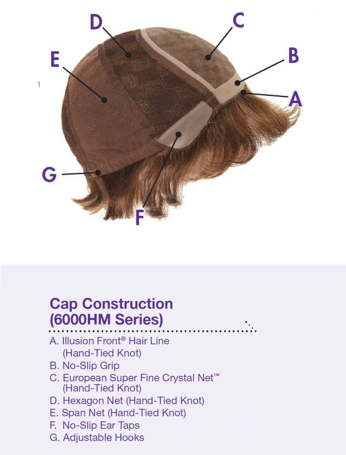 Hand-Tied cap - Individual hairs are hand tied to allow for natural movement. Bangs: 6.5" Crown: 11" Nape: 5.5"